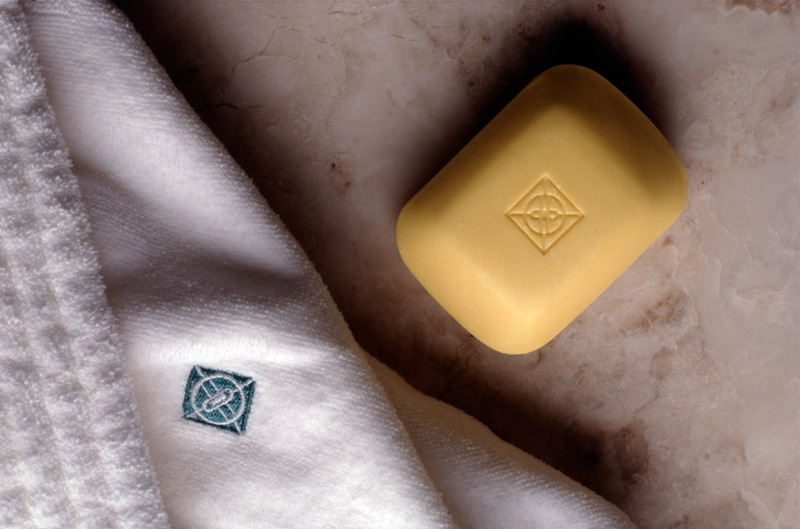 The identity program for the Rittenhouse Hotel involved more than just the application of the mark designed by Joel Katz. We also designed business stationery and invitations, menus and tableware for the restaurants, linens for the guest rooms and much more. While working at Cloud Gehshan Associates, I created a new identity for McIntosh Inn, a family hotel chain for those on a budget. 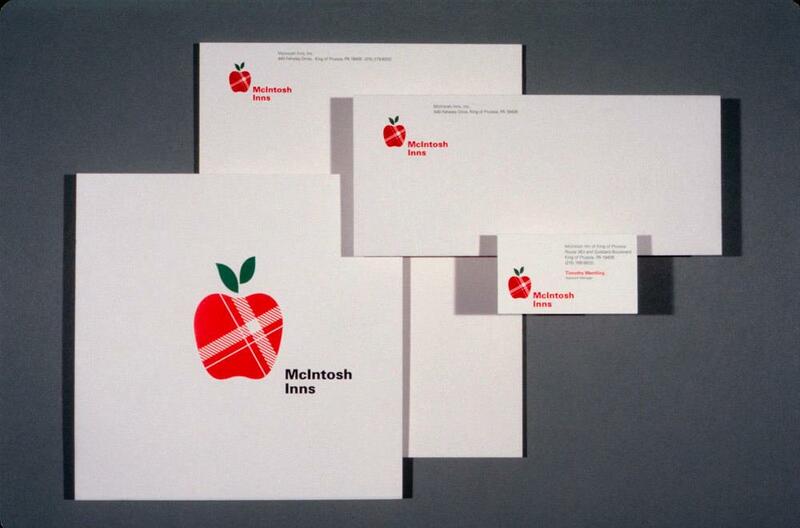 The highlight on the apple suggests a Scottish plaid blanket pattern, a comforting addition to each of the guest rooms. This new mark was featured on signage and all communication materials. This logotype for Peoples State Bank uses an old style typeface in a new way, carrying this established bank into the future. The mark was repeated in a pattern for check backgrounds. Joel Katz created the mark and logotype for Center City District, as well as a way-finding system for downtown Philadelphia. We applied the mark to street cleaning trucks, jackets, bags and more. 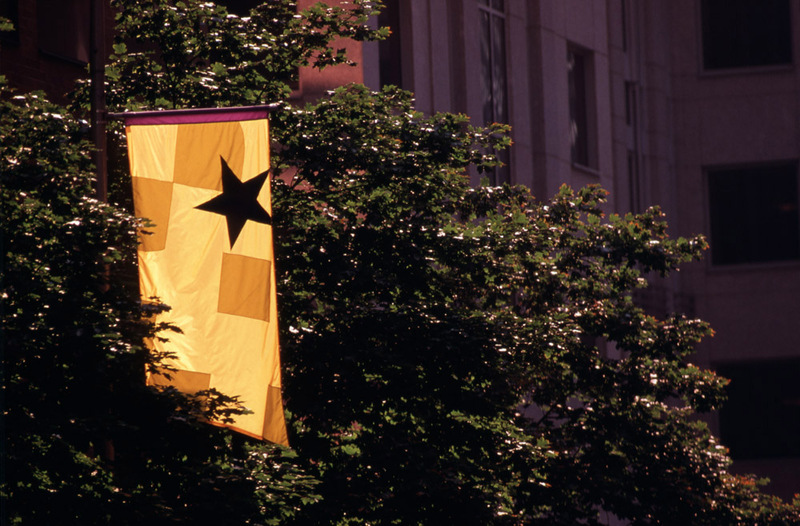 Banners were designed for Broad Street in Philadelphia. At CloudGehshan & Associates, I designed whimsical animal elements for the Meet the Keeper signage at The Philadelphia Zoo. 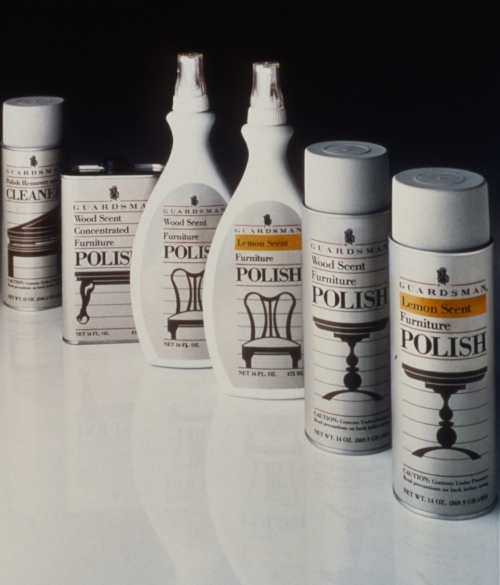 I designed Guardsman Furniture Polish packaging while at Pangborn Design in Detroit, MI. The simple furniture silhouettes and clean typographic labeling distinguishes Guardsman from other brands in the marketplace.